Concrete deterioration at the Weston Dam will require the head pond to be drawn down by 9 feet for up to six weeks. SKOWHEGAN — Unexpected work at the Weston Dam will result in the Kennebec River being drawn down 9 feet, and surrounding towns are advising residents to get any items off the river. The unanticipated head pond drawdown and enactment of the nonfailure Emergency Action Plan at the Weston Project dam are necessary to allow repair of concrete at a southern pier. 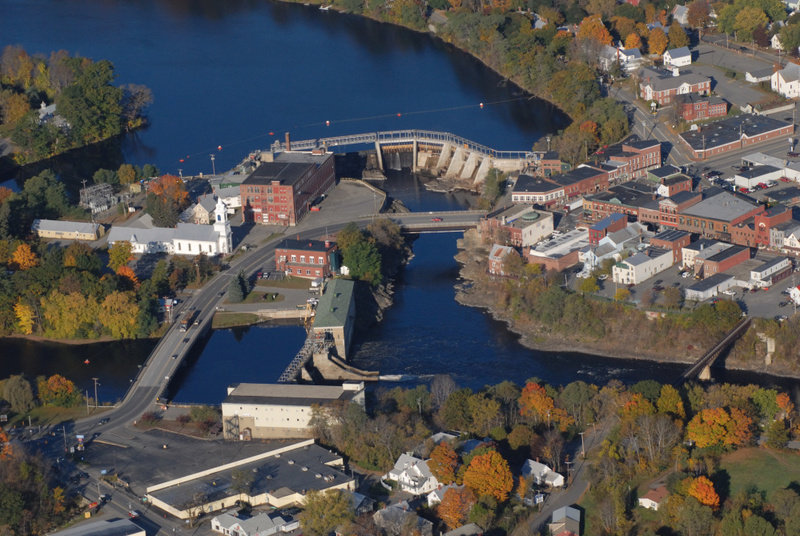 The Weston Project, owned by Brookfield Renewable, is located on the Kennebec River in the towns of Skowhegan, Norridgewock, Starks, and Madison. During current maintenance, concrete deterioration of the downstream side of the stanchion pier on the dam spillway was discovered. The deterioration will require additional investigation, and reversing the damage will require a drawdown of the water in the project impoundment. The drawdown, which began Wednesday, is expected to take 36 hours, which is the duration of the nonfailure Emergency Action Plan. Samantha Edwards, community relations manager for Brookfield, said workers noticed the deterioration during maintenance work, and the drawdown is necessary to allow a team to get into the area and investigate and to ensure the safety of the crew. The river will go from 156 feet to 147 feet, and the head pond will remain at that level until the problem is solved. Edwards said a similar drawdown occurred at this time last year. The head pond will be maintained at this lower level for about four to six weeks so the repair work can be performed. The refill will start once the repair is completed. Minimum flow will be maintained throughout the drawdown, as will provisions for downstream eel passage. Should repair efforts go past Nov. 1, Brookfield will coordinate with the fishery resources agencies on plans to provide continued downstream passage for salmon kelt, those that have spawned but not yet returned to the sea. The canoe portage trail will be closed for the duration of the repair work. Edwards said Brookfield has begun contacting residents, and residents are advised to take necessary precautions with boats or seaplanes on the water that may be affected and to be careful when on the waterway.